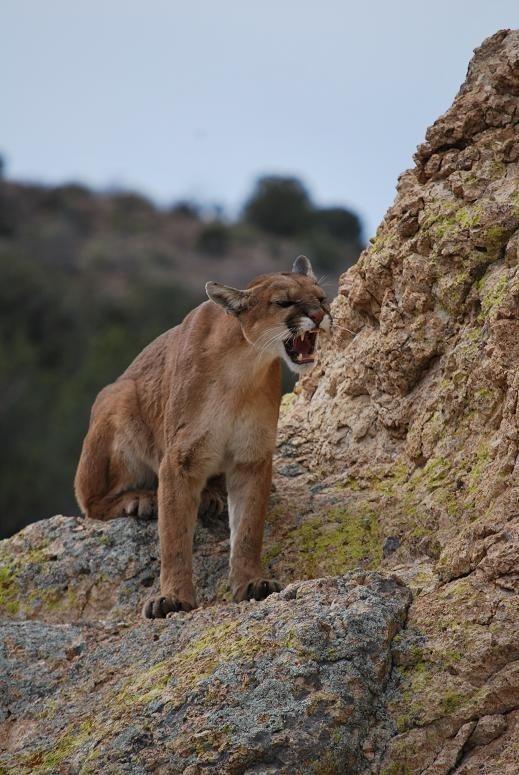 Not many mt lion hunters give much thought in too preparing for a mt lion hunt, given the nature of the hunt most novice or first time hunters have the notion that the dogs run a lion up a tree you walk up and shoot it. Sounds simple enough! But what they they do not take into consideration is the physicality of this type of hunting or that shooting your bow up at such steep angles changes everything. I incorporated a regime of high impact aerobic activities for the last 6 months doing stairwells, mt climber sprints, hiking with my gear, and jogging at least 2x a week on top of my normal workout. I did not want to feel like I did last time. I workout a minimum of 3x a week lifting weights etc. and this was not enough last time I went out so I wanted to make sure I wasn’t going to feel like I was holding everyone back again. Most savvy bow hunters know how extreme angles can greatly alter your shot. That’s why it’s important to incorporate some kind of practice regime to ensure perfect shot placement, a wounded lion is nothing to mess around with. I took my new Mathews Creed out this week and practiced shooting up into a tree by hoisting my 1/4 3D target up onto a branch about 20′ feet up. I practiced visualizing the vitals and how the angle would effect entry and exit, I also practiced shooting downwards at sharp angles from rock out croppings because it is very possible to get a lion especial here in AZ to “tree” in rock bluffs and large boulders and a lot of times you will have to shoot down at them. My suggestion is carry light a small day pack with the essentials : GPS, water, fire starting device, day of food and water, knife, some cordage, rangefinder, light weight rain jacket. I would highly recommend carrying the lightest bow you own My Creed only weighs in at 3.85 lbs so it makes for an excellent choice for western hunting. Plus it is extremely accurate and the short axel to axel make it easy to manuver and carry on horse back. Use a light small pair of optics because you will not be glassing long distances so the extra weight is unnecessary.